When looking to purchase ANPR cameras there are several features you should ensure that they include before you buy. Remember, picking up number plates is a pretty tricky task and all sorts of considerations need to be taken into account. The speed of the car, the the lighting conditions , sunshine and reflection. The position of the number plate on the vehicle and so on. To set up ANPR cameras correctly, the position of the camera in relation to the vehicle number plate is crucial so the first thing we would recommend that you ensure your ANPR cameras include are a zoom lens feature. There is generally two accepted distances you should position the cameras from the target number plate. These are 3-12 metres and 8-20 metres. To ensure a capture rate of above 98% the camera must be high resolution. The Sony EX view is an accepted ANPR camera module used in most versions of the best number plate recognition cameras on the market. In order to get the maximum reflection back from the number plate itself all the bests ANPR cameras come fitted pulsed IR led illumination. This reflects back from the special material used on number plates and means that even when you try to capture the the numberplate head on with the vehicle lights on full beam, the camera is able to filter out the white light and home in on the number plate text itself. This is called optical filtering. The golden rule of ANPR cameras and they key to their set up is that the a full on view is is the best . If you have to set the camera off to one side and create an angle then the number plate in relation to the camera becomes distorted making it far more difficult to read. As a result the rule is that the camera should be no more than 35 degrees off set from the number plate. The simple reason for this is the IR will not reflect back into the camera lens if there is an any greater angle. ANPR cameras can also come in many guises, one of the most popular though is the bollard camera , the ANPR cameras will sit in a weatherproof housing and capture number plates with a high performance unit that has anything up to a 1/10,000th of a second shutter speed this ensures that captured plates appear razor sharpe. 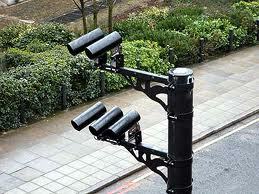 Of course the ANPR cameras are useless unless running in the background we have some highly efficient ANPR software. This software is generally run on a PC that will sit in a cabinet adjacent to the ANPR camera system . This ANPR software can be networked and programmed to hold 10’s of thousands of number plates within its database .The software can be used to manage speed, overstay, non returned and banned vehicles.It can open gates , integrate to weighbridge software or time and attendance packages. ANPR software can be modified to welcome customers or used as a defence against terrorism. It is a very powerful tool and one that is finding more and more applications especially here in the UK. So in summary if you want an ANPR camera system make sure you ask your provider about all the issues outlined above. ANPR cameras, Automatic number plate recognition comes of age. Automatic Number Plate Recognition ANPR. This entry was posted on Wednesday, June 15th, 2011 at 22:30	and is filed under ANPR. You can follow any responses to this entry through the RSS 2.0 feed. Both comments and pings are currently closed.